You don't have to tell me twice if a bargain is involved. So I downloaded the Groupon app to my smartphone and got this 50% off a $10 Target Gift Card deal as quickly as I could. 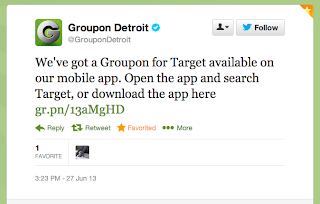 This deal is only available via the Groupon app for Android and iPhone. 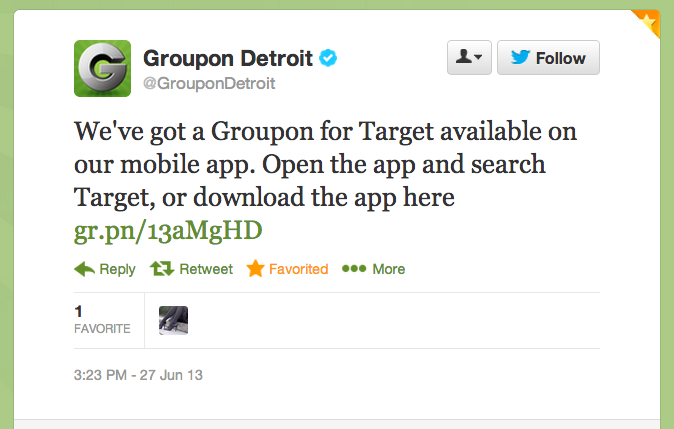 So get out your smartphone and download the app now. 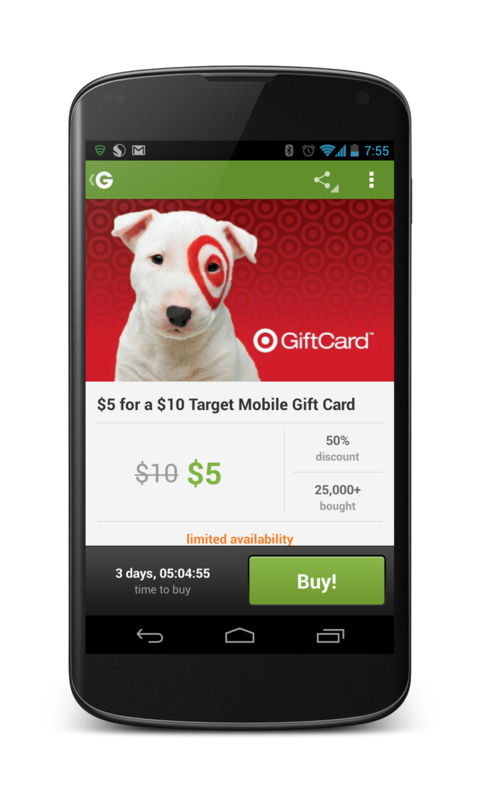 You can then redeem the gift card right out of the Groupon app in Target stores.